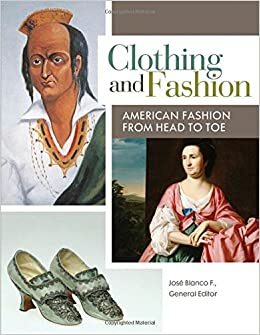 Clothing and Fashion: American Fashion from Head to Toe, the 4-volume work edited by Jose Blanco, Associate Professor of Apparel Design and Merchandising, was recently awarded Best Print Reference Book by Library Journal in the clothing and dress category. The book was called “engaging,” “well-written,” and “well-researched,” and every library is encouraged to get a copy for its collection. Dominican owns a copy already. It’s available in the reference stacks on the lower level of the library for in-library use. Call number is Ref GT605 .C555 2015.